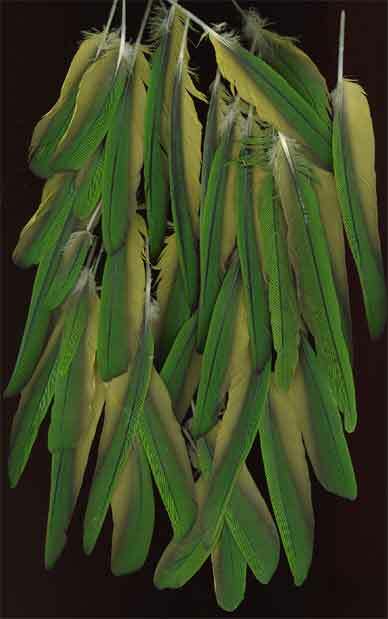 Here are some extra special parrot feathers, gathered from domestic pet parrots naturally, after molting, such as macaw feathers: scarlet, blue and gold, and Buffon's macaws, white eyes and green cheeks conures, Congo African Greys, Amazon parrots, Moluccan cockatoos, Indian ring neck parakeet long tails, Eclectus, Australian parakeets, Solomon Island Eclectus, and more! 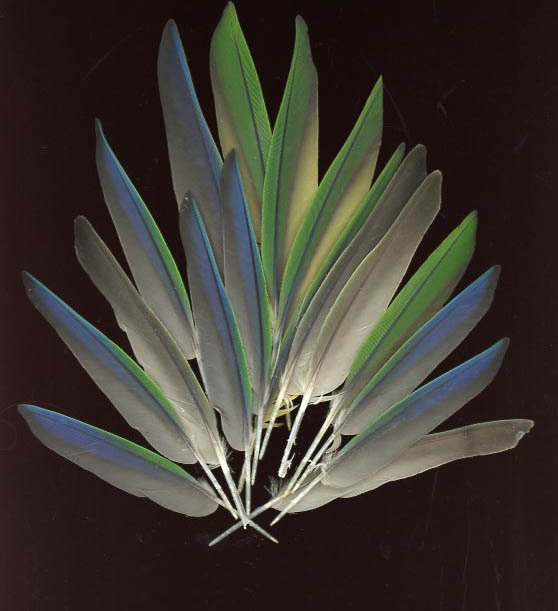 Please keep checking back- Bookmark this page - for specials and new gatherings - collections of feathers. 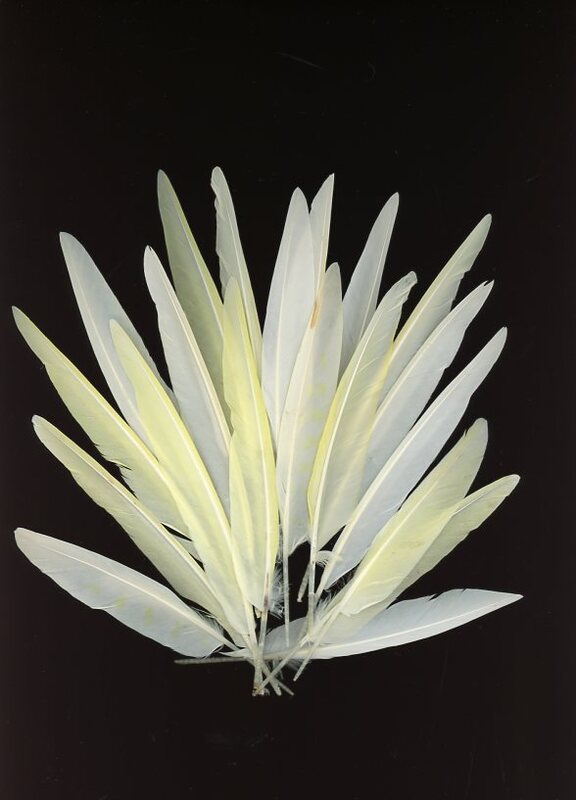 The feathers shown below are one-of-a-kind, limited editions, gathered naturally, dropped naturally. 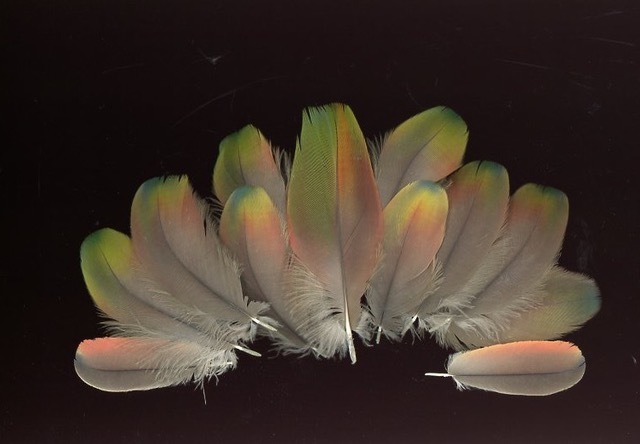 These parrot feathers are useful in weddings, crafts, fly tying, for Native American ceremonies and regalia, fans, artwork, hats, for beading, head dresses, and/or just to admire for the colorful beauty they provide. Parrot Grabbag! 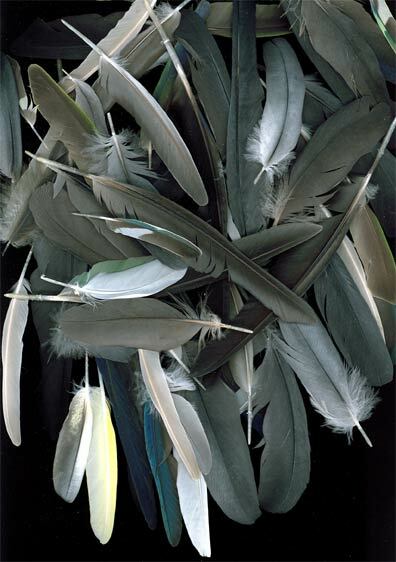 100, maybe a few more, random parrot feathers, mostly greys, whites, some color, whatever is grabbed and bagged 1/2" -7"long. 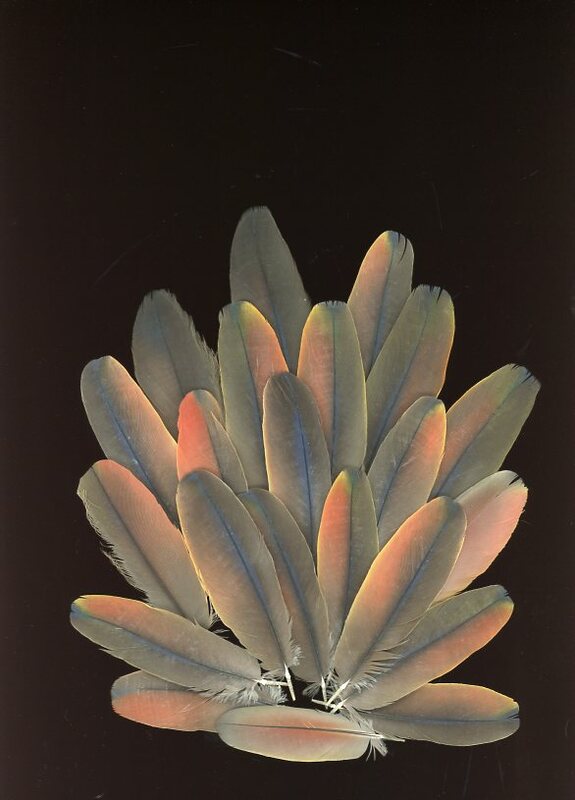 These grey feathers are useful as contrast against more colorful feathers - $20... Special 2 bags/$30! 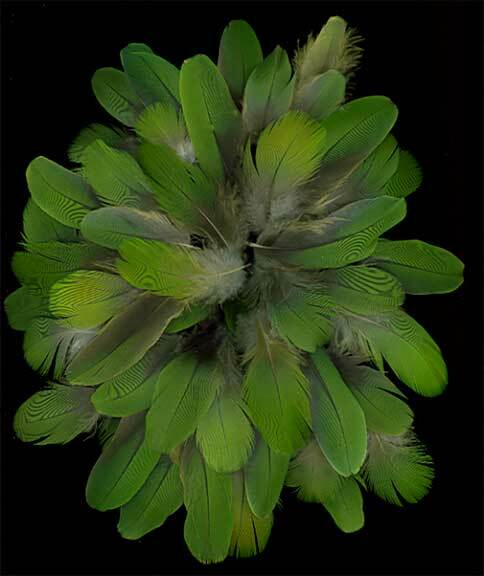 Proceeds from sales of these feathers go towards feeding my birds the best quality and variety foods I can grow or buy. 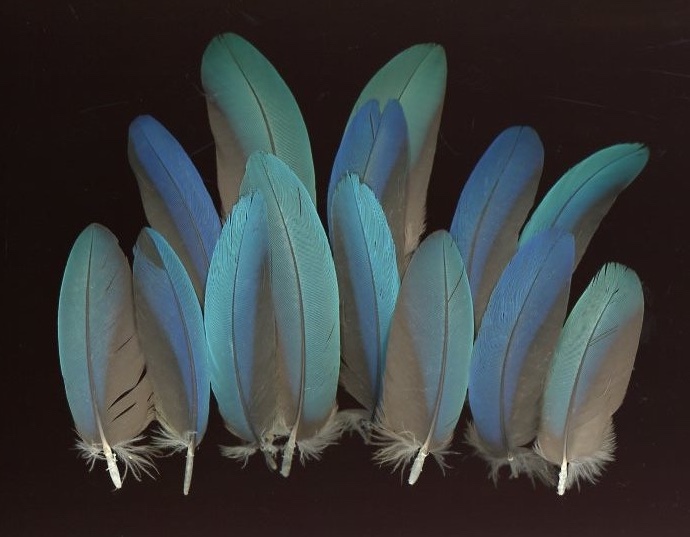 $9.30 shipping for most US long feather orders; postage includes $50 insurance. 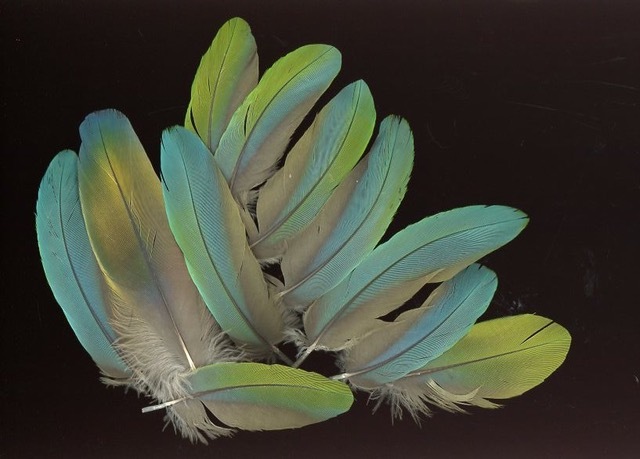 easy online payment and lots of feathers available! 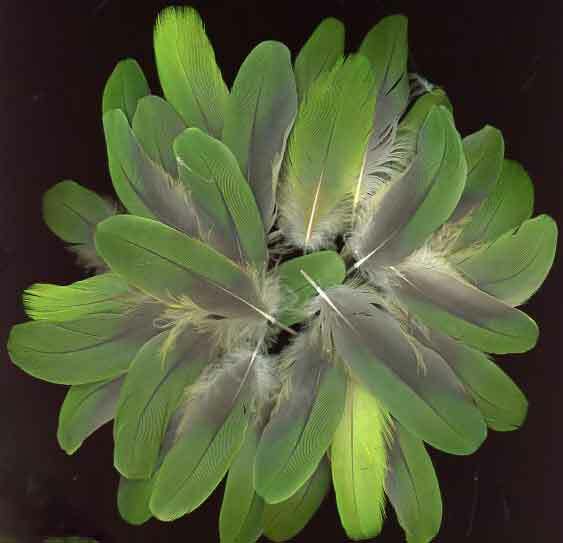 Click Here for Susan's Feather Tips- how to make them last. 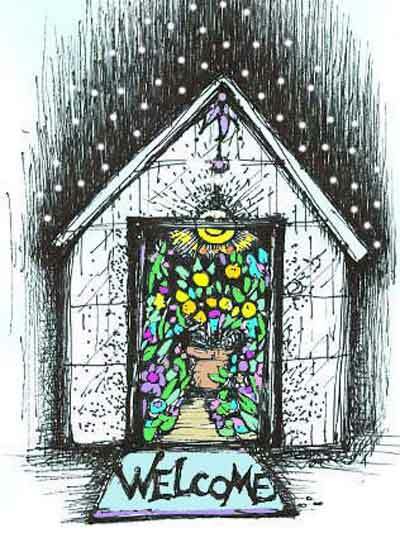 See Susan's Feedback Page! ->Click! 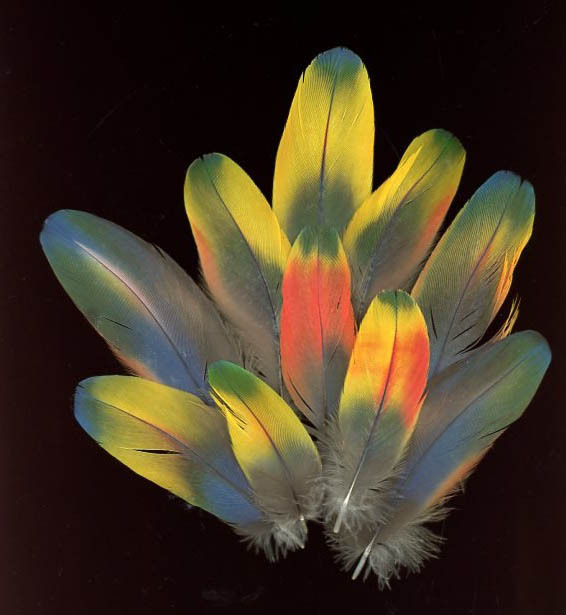 © S.rowe&co. All rights reserved. Thanks for helping us to be seen!.